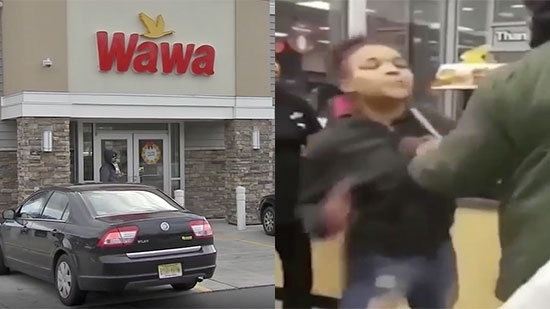 Two women arrested and charged for an altercation at a Cherry Hill Wawa store earlier this month may face upgraded charges after video of the incident began circulating on social media. It happened on Saturday, November 17th at the convenience store on Route 38. Two young woman are accused of spitting on and beating up a middle age woman while in line at the register. Destiny Davis and Diamond Howard were arrested at the time. The store surveillance did not capture the assault and the two were only charged with disorderly conduct. They plead guilty to the charges at the Cherry Hill Municipal Court on Wednesday, 11/28, and received $200 fines. Autorities are considering more serious charges after seeing the newly surfaced video. It started when the older woman asked to two younger women if they could watch their language and profanity. One of the younger women then starting yelling, got up on the counter, and spat on the victim. The other young female also spat on the victim. She then attacked her, knocked her to the ground, and began repeatedly punching her head. A Wawa employee came out from the counter and broke it up. Cherry Hill Police Chief William Monaghan says they are investigating and are looking to upgrade the charges to simple assault. UPDATE: 11/30/18 - Cherry Hill police announced upgraded charges against Destiny Davis and Diamond Howard. Davis was charged with aggravated assault and Howard was charged with simple assault. Former Pennsylvania Attorney General Kathleen Kane surrendered herself Thursday morning, 11/29, at the Montgomery County Correctional Facility around 8 a.m. The 52-year-old Kane will now begin her 10-23 month sentence for perjury and obstruction. She had appealed her 2016 conviction. A 3-judge Superior Court panel upheld the conviction. The PA Supreme Court declined to hear her appeal on Monday, 11/26. Kane's bail was then revoked and a Montgomery County judge ordered her to report to jail. Philadelphia Police are searching for a woman wanted for arson after she used a can of hairspray as a torch inside of a store last week in Germantown. The disgruntled customer was caught on surveillance camera inside the store on the on the 2100 block of West 65th Avenue the morning of November 20th. She took the bottle of hairspray out of her bag and used a lighter to create a flaming torch. She can be seen leaning over the counter and spraying inside the window. No one was injured but she did burn some items. She is described as a black woman in her mid-30s to early 40s. She stands approximately 5' 5" with a thin to medium build and short red hair. The suspect was wearing flower-patterned grey tight pants with a white stripe down the outer leg, a black jacket, black boots and round earrings. Anyone with information is asked to call police at 215-686-TIPS. 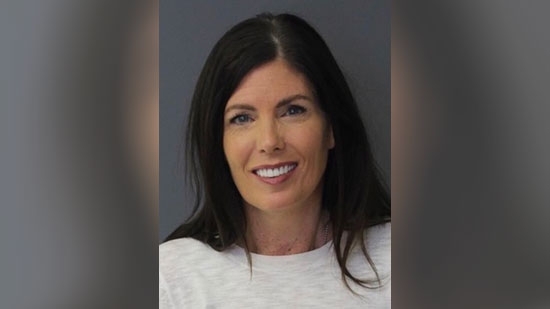 Former Pennsylvania Attorney General Kathleen Kane's mug shot after reporting to Montgomery County Correctional Facility.